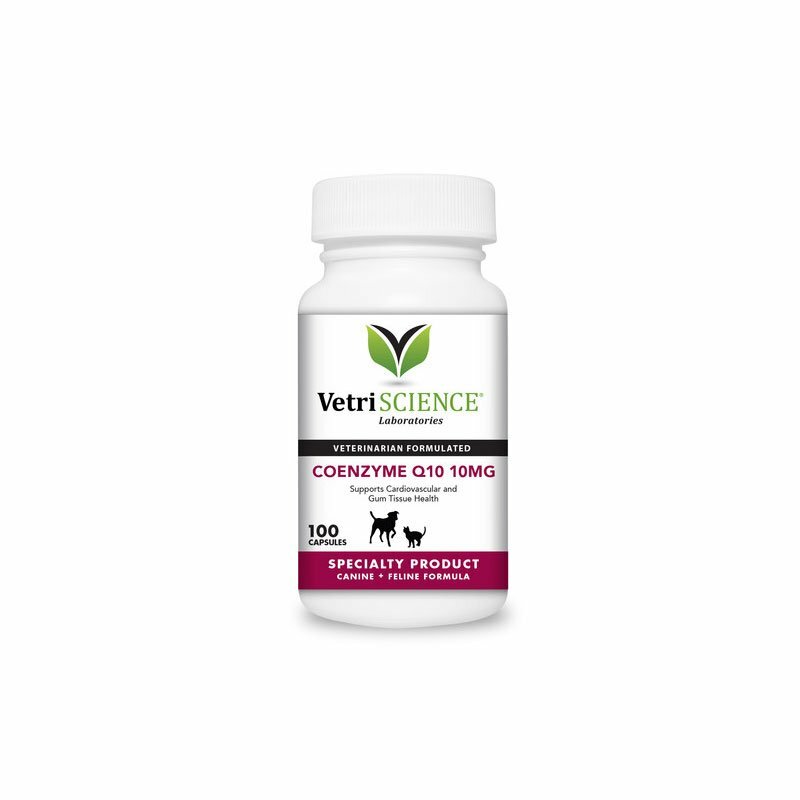 You are buying VetriScience Coenzyme Q10 MG Capsules For Cats & Dogs 100ct Pack of 6, model #0900322100 at ADW Diabetes, we offer a wide range of pet dietary supplements geared towards helping your pet achieve optimum health. We offer these supplements in both single and discounted bulk packs with the goal of helping you save even more. Shop with ADW Diabetes and enjoy our low prices, superior service, and wide selection of pet health care supplies. The VetriScience Coenzyme Q10 MG Capsules For Cats & Dogs 100ct Pack of 6 supports the formation of Adenosine Triphosphate (ATP), the basic cellular energy molecule. CoQ10 is found in its highest concentrations in high energy organs like the brain, heart, liver, kidneys and pancreas. It is an immune system supporter and a powerful antioxidant. CoQ10 supports periodontal health, circulation, physical energy, stamina, oxygen utilization, carbohydrate metabolism, normal detoxification processes and more. Coenzyme Q10 is available in 10mg capsules. For use in dogs and cats only.